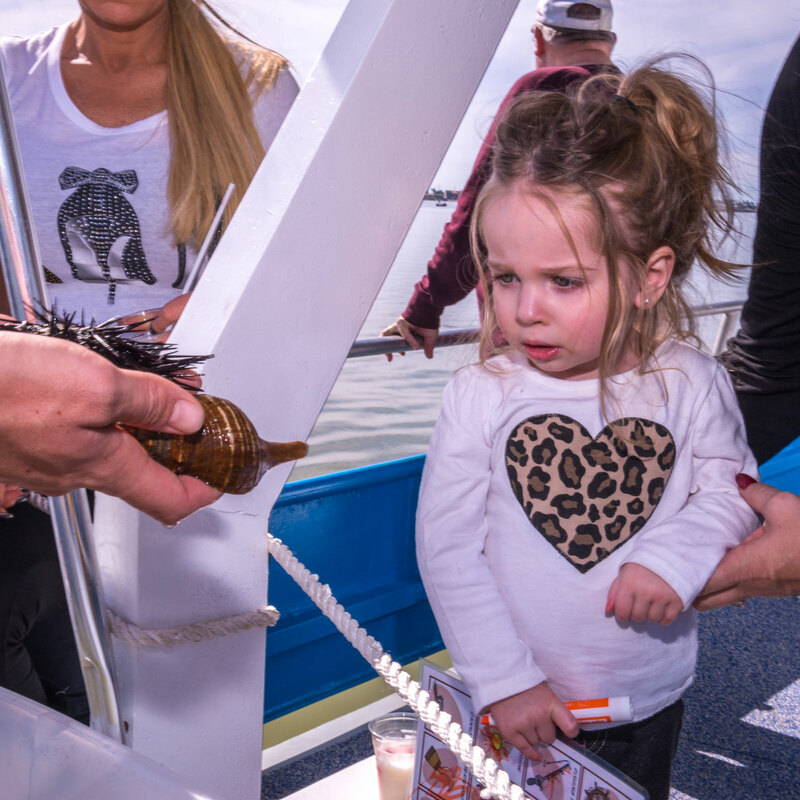 When we conceived the Sea Life Safari Cruise, it was with the intent to provide an introduction and overview of the ecology of the Laguna Madre with special emphasis on its wildlife. Our narrator will discuss the natural history of this great estuary and its inhabitants, fin, feather, shell and hide. The passenger yacht Osprey has a high profile and is exceptionally well suited for sightseeing. From the upper deck you have panoramic views and with binoculars you can see for miles (and there’s lots to see). 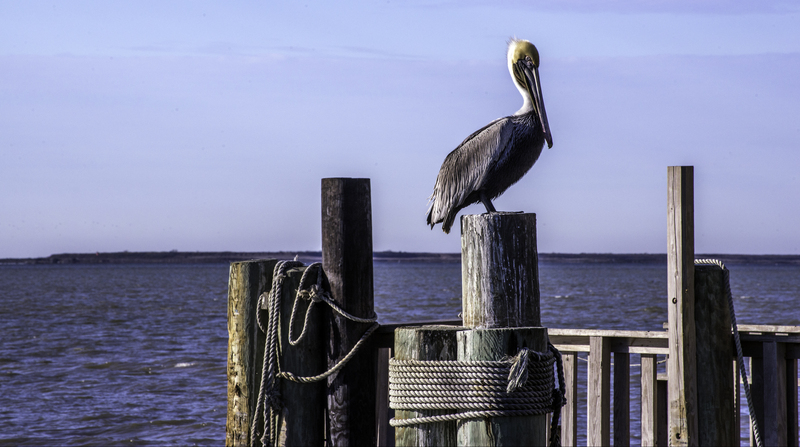 Every trip is a unique experience, and there’s nothing to match it on the Texas coast. Your entire family will enjoy this adventure! 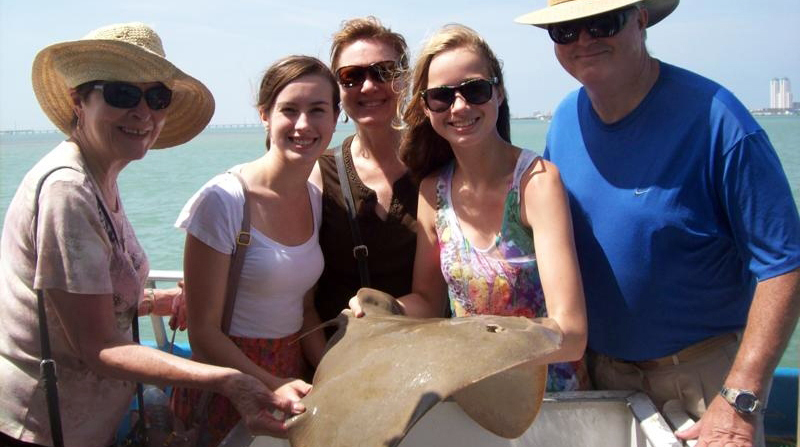 Experience dolphin life while sightseeing and learning about the local wildlife and ecology of the Laguna Madre. We’ll use a trawling net to bring sea life directly to you. Clean restrooms and an air-conditioned cabin provide comfort during your tour while you explore the Laguna Madre and its coastline. 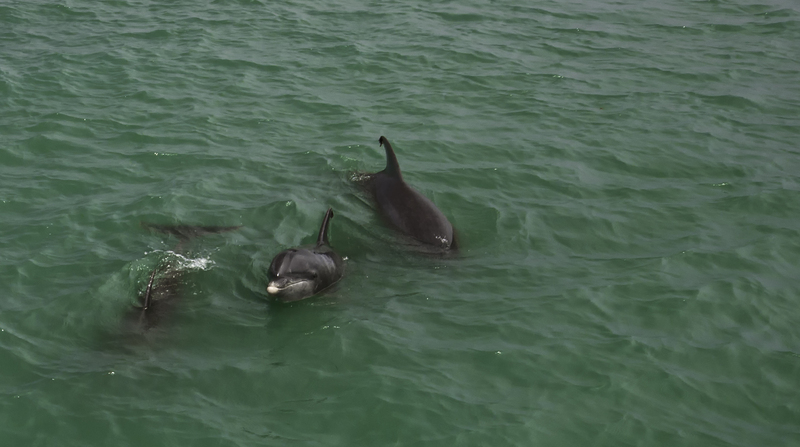 The South Padre Island area is home to hundreds of Atlantic bottlenose dolphins. 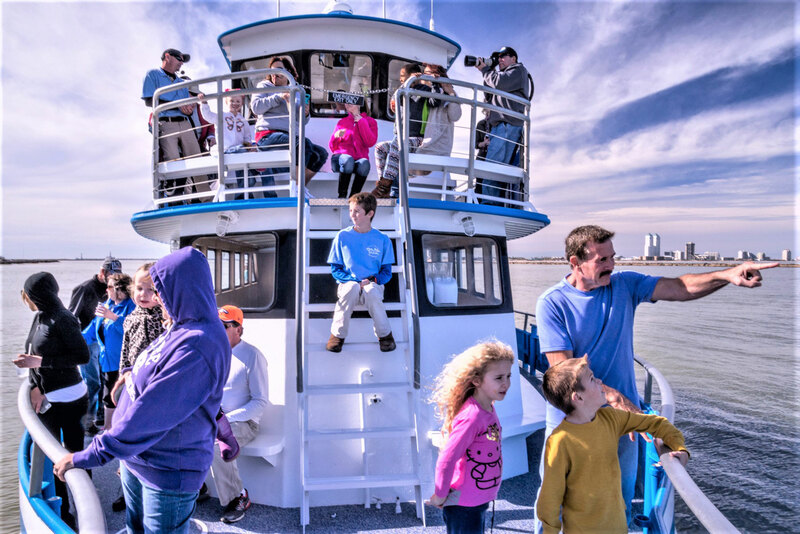 One of the most popular year-round activities in South Texas is to take a Dolphin Watch/Nature/Sightseeing cruise aboard the Osprey. 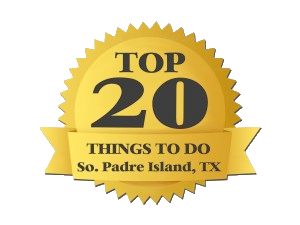 For vacationers and visitors to South Padre Island this is a “Must Do”. Learn about unique sea life such as these sea urchins. You never know what you might see! Get tickets today. On our dolphin watch cruises, you’re guaranteed to see dolphins. Sometimes, our pods travel with their calves. 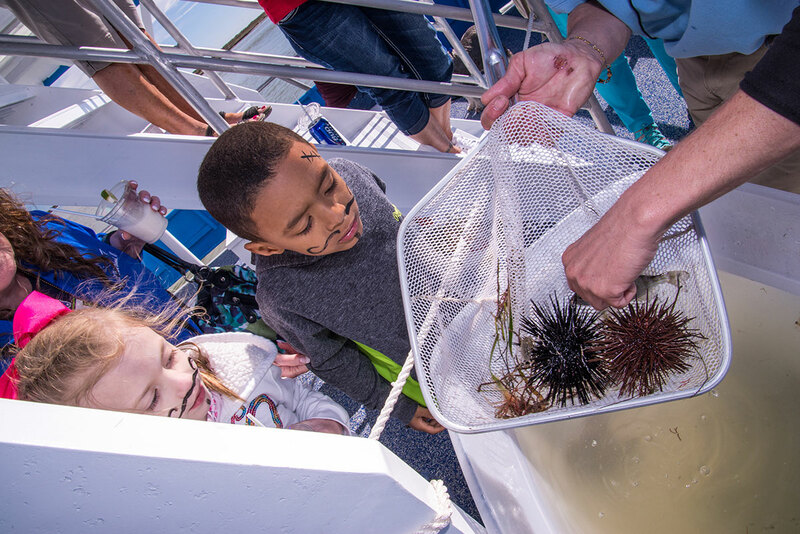 On our Sea Life Safari cruises, you’ll have the opportunity to meet sea life first-hand. In 2009, brown pelicans were able to be taken off the endangered species list due to successful efforts, most notably ending the use of DDT. Learn about sealife on a comfortable cruise with snacks and drinks available on every tour. 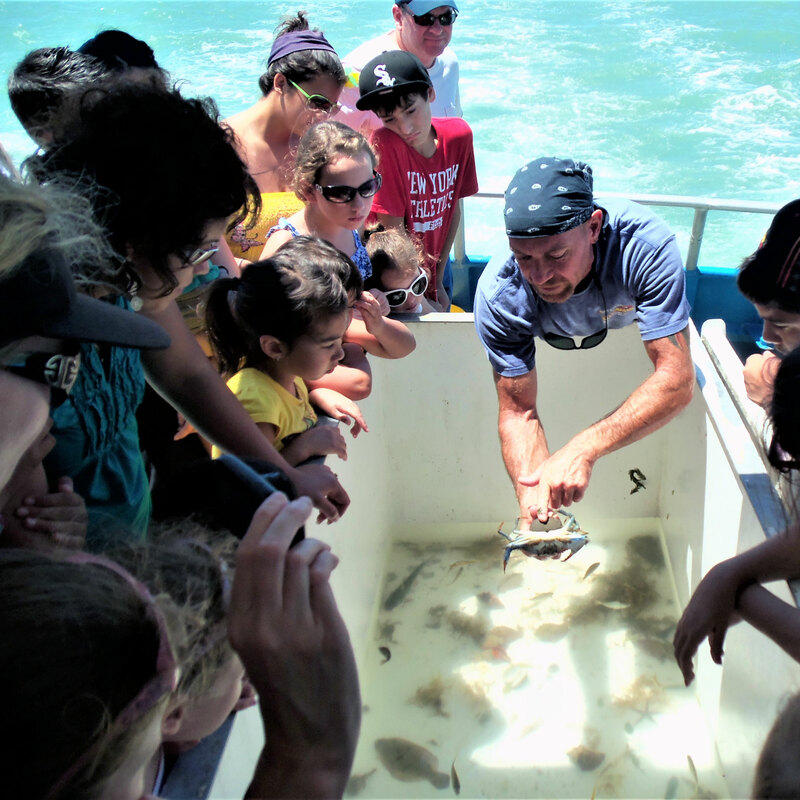 Join us aboard south Texas’ premier tour boat and experience the spectacular and largely unspoiled natural beauty of South Padre Island and the Laguna Madre. Relax in the climate-controlled luxury of our beautiful cabin or enjoy the fresh air and sunshine on our upper and lower decks. 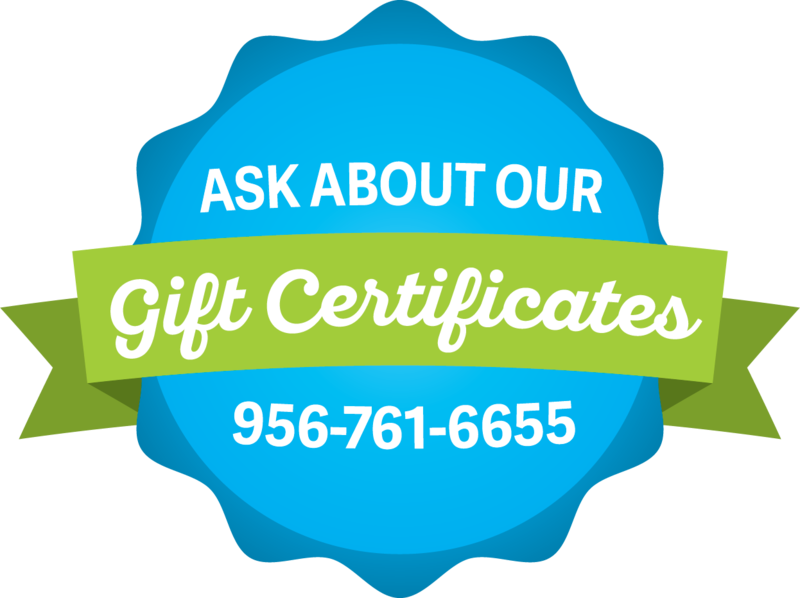 Our professional crew is experienced and knowledgeable. The Osprey is the ideal venue to make your corporate and private events fun and memorable. Did you know that on our cruise you’ll be seeing Atlantic bottlenose dolphins? Dolphins can eat 15 to 30 lbs. of fish in one day and may grow up to 550 lbs. On our cruise, you’ll likely see our dolphins riding the wakes of our boats. 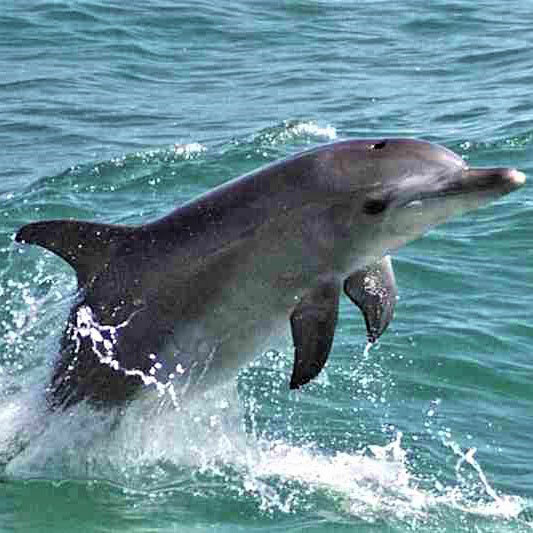 Dolphins are the fastest marine mammals and can reach speeds approaching 40 mph (68 kph). The dolphins are native to this area and are non-migratory. You can see these wonderful mammals year-round.